ரெட்டைச்சுழி படத்தின் மூலம் கதாநாயகனாக அறிமுகமான நடிகர் ஆரி N.கிருஷ்ணா இயக்கிய நெடுஞ்சாலை படத்தில் அவரது நடிப்பை பலரும் பாராட்டினார். நடிகராக அவர் சாதித்து வரும் அதே நேரத்தில், நாம் உண்ணும் உணவின் மீது அவர் கொண்டிருக்கும் அக்கறை சினிமா துறையினரையும், சமூக ஆர்வலர்களையும் வியக்க செய்கிறது. நம் அறிவியல் முன்னேற்றத்தால் சுற்றுச் சூழல் பாதிப்படைவதை பலரும் கண்டித்து வரும் நிலையில் நடிகர் ஆரி நல்ல முயற்சியாக தான் சார்ந்திருக்கும் துறையில் எவ்வாறு சுற்றுச் சூழலை பற்றி விழிப்புணர்வை ஏற்படுத்துவது மற்றும் பொதுமக்களுக்கும் இந்த சிந்தனையை உண்டாக்குவது என முனைப்பாய் செயல்பட்டு வருகிறார். நம் தமிழ் மக்களும் இயற்க்கை விவசாயத்தின் முக்கியத்துவங்களை அறிந்துக் கொள்கிறார்கள். உணவு முறையிலும் மாற்றங்கள் கொண்டுவர வேண்டும் என முயற்சிக்கிறார்கள். மக்களின் இந்த ஆர்வத்தை சரியான பாதையில் கொண்டு செல்ல வேண்டுமென நடிகர் ஆரி மாறுவோம் மாற்றுவோம் எனும் ஒரு அமைப்பை உண்டாக்கி, இயற்க்கை விவசாயத்தின் பயன்கள், அதை தேவை என்ன என்று மக்களுக்கு விழிப்புணர்வை ஏற்படுத்தி வருகிறார். அதே போல சுற்றுச் சுழலுக்கு பாதிப்பில்லாத பாரம்பரிய நெர்விதைகளும் பயன்படுத்த விவசாயிகளுக்கு வலியுறுத்தி வருகிறார். சென்ற ஆண்டு, ஆகஸ்ட் மாதம் 29-ஆம் தேதி, ஆவனிபூர் திண்டிவனத்தில், மாறுவோம் மாற்றுவோம் அமைப்பின் மூலம் நானும் ஒரு விவசாயி என்ற நிகழ்வில், பாரம்பரிய கத்தரி விதைகள் ஆளுக்கு இரண்டு வீதம் ஒரே நேரத்தில் நடப்பட்டது. இந்த நிகழ்வில் கல்லூரி மாணவர்கள் மற்றும் பொதுமக்கள் என 2683 பங்கேற்பாளர்கள் பங்கு பெற்று கின்னஸ் சாதனையும் படைத்தனர். சமீபத்தில் சிவகார்த்திகேயன் நடிப்பில் வெளியான வேலைக்காரன் திரைப்படத்தில், உணவை பதப்படுத்த பயன்படுத்தும் ரசாயனங்களால் ஏற்படும் விளைவுகளை பற்றி மக்களுக்கு விழிப்புணர்வை ஏற்படுத்தியதால் நடிகர் ஆரி சிவகார்திகேயனையும் வேலைக்காரன் படக்குழுவினரையும் பாராட்டியிருக்கிறார். அப்போது தமிழ் திரைப்பட இயக்குனர்கள் இயற்க்கை விவசாயத்தை மையமாக வைத்து திரைப்படங்களை உண்டாக்க வேண்டும் என்றும் அப்படியான கதைகளில் முன்னணி கதாநாயகர்கள் நடிக்க வேண்டும் என்று வேண்டுகோள் விடுத்த நடிகர் ஆரி, தானும் நடிக்க ஆர்வமாக இருப்பதாகவும் தெரிவித்து இருக்கிறார். Actor Aari came to limelight after ‘Nedunchaalai’ which was directed by N Krishna. The movie was critically acclaimed for its way of storytelling and Aari’s performance. Then he paired up with Nayanthara in ‘Mayaa’ and he was seen as a hero who chooses different roles. Though he is an actor he is known for his social work. He is looking forward to a green world and he is been insisting theaters give paper cups and eco-friendly covers for the eatables they sell. In the recent days, people have become very much aware of organic farming. People feel that the foods they eat have become adulterated; this has brought limelight to organic farming. Actor Aari’s is now creating momentum for organic farming by his Maaruvom Maatruvom organization. The Maaruvom Maatruvom’s Vision Naanum Oru Vivasayi is to raise awareness on saving agriculture, saving our native seeds and opt for natural seeds, through ecologically sustainable and economically viable production of food rather than high cost chemically intensive artificial agricultural practices. Actor Aari conducted I am a farmer an event in Avanipoor - Nallanilam which is in Thindivanam on behalf of Maaruvom Maatruvom trust which happened last year 29th August. This event has created a new world record. Sathyabama and Jeppiar college students alongside public joined in this event and almost 2638 of them joined this event to make it a Guinness world record. So recently, Aari has appreciated Sivakarthikeyan starrer ‘Velaikkaran’ movie and director Mohan Raja for making a movie that has created awareness among the people about the effects of chemicals and food preservatives. He openly shared his views about the effects of chemicals used in the food products and Aari has also shared his views about ‘Velaikkaran’ movie. He also insists Tamil directors and heroes come forward and make movies that create awareness about organic farming and effects of food preservatives. Adding to this Aari said that he would also act in movies that create awareness about organic farming. Kuruksastra has emerged as a force to be reckoned with in the south Indian cultural scene over the past few years, and this year’s edition- the twelfth instalment of the cultural behemoth- aimed at being bigger and better than before! This cultural festival has a long-standing tradition of consistently bringing together the best and brightest talents from all across the country, pitting them against each other in epic competitions across clusters like music, dance, theatre, arts, literary events, photography; and crowning those, who emerge as winners! In a short span of 4 years, KS has shown phenomenal response and it was bigger this year. It offered unlimited opportunities to talented students who are given the limelight to enthral the buzzing crowds with mind-blowing performances. WoodsDeck is very much elated that we were part of Sastra University’s Kuruksastra tour de Magie 2018 which happened this March 23, 24, and 25. The fabulous fest flooded light over young talents and also gave the students a big opportunity to develop their skills. WoodsDeck took part in this huge student gathering cultural to find young talents and encourage them. We had a huge talent hunt in Kuruksastra 2018 and encouraged them with little mementoes. We are looking forward to those who performed with us and in the cultural event will shine as stars in the skies and we wish the college and the management to continue this extraordinary event happen every year. Uthiripookal written and directed by Mahendran is still considered to be one of the best movies in Tamil cinema history. 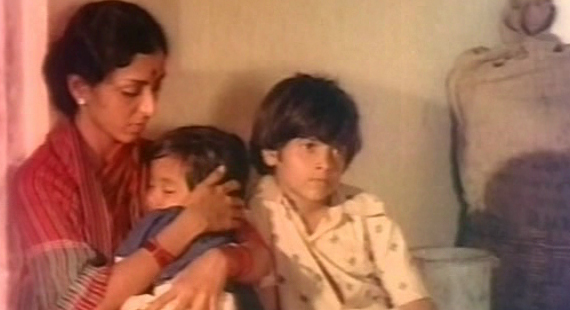 The family drama Uthiripookal did not have a huge star cast but made its way to prove the excellence in Tamil cinema. The story is basically inspired by a short story Chitrannai written by famous Tamil short story writer Pudhumaipithan. Vijayan, Ashwini, Madhumalini and Charu Hassan were featured in the lead roles and Ilaiyaraja scored music for Uthiripookal. Let us know why this movie should be watched at least once in our life time. As the world is filled with men it is also filled with women. There were times when women were not even considered to be a living thing in our society and every woman was disgraced by their husbands, fathers or brothers for just being a women. Though time has now changed and woman are also treated fairly, but still our society does impose various restrictions to make women’s life complicated and not letting them to their free will. Such is the situation now, the Lakshmi’s character in Uthiripookal portrayed as an average woman surviving with two kids and a torturous husband becomes an eye opener to this society. Her silence in the movie sang thousand sad songs to the audiences that every woman sings to their pillows every night even now. Lakshmi the female lead character showcased the painful patience that our wives, mothers and sisters take up just because they are asked and forced to take up such pain. There are lots of such Lakshmi’s around us who neither can utter a single word on their miserable life nor come out of it. Uthiripookal happens in a village of Tamil Nadu. Director Mahendran’s aesthetic eye captured the beauty of the village and showed us the rustic beauty of nature in the opening scenes. Mahendran is an expert in aestheticization, his visuals are realistic and the human faces are tremendously expressive when he visualizes a scene. 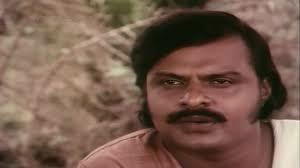 His characters in Uthiripookal did not wear make up or did not appear in gaudy dresses. All characters appeared simple but even then his visuals were beautiful like an oil painting. Mahnedran with cinematographer Ashok Kumar has done many miracles but Uthiripookal is an outstanding work together. Every movie made get its life from music and Ilaiyaraja has been the soul and has given for many movies in the late 70’s and the 80’s. He did not miss to enhance the mood of this movie. Keeping the melody songs aside the background score for this movie will be heart-wrenching. 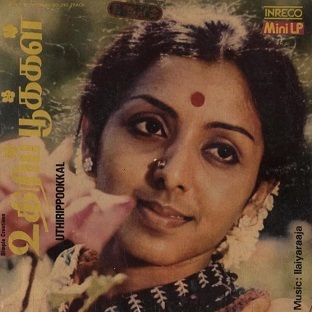 Whatever mood Mahendran had thought to convey to the audiences was conveyed visually but the impact of the mood was created by Ilaiyaraja’s background score. Let it be the antagonist's (Vijayan) vicious plan or Lakshmi’s miseries the impact of the visuals will be felt by us, by Raja’s heart-wrenching background score. 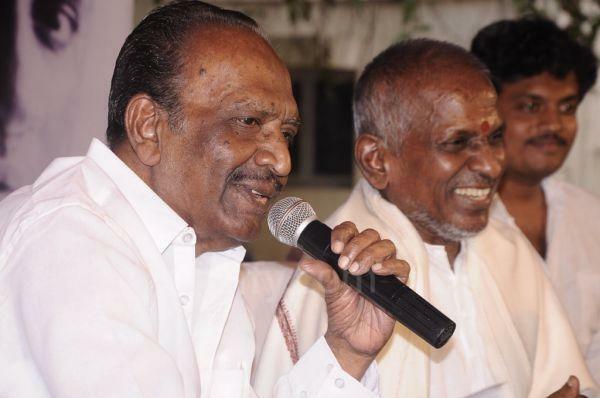 Ilaiyaraja did not fill up with his music and showcased his genius music mind rather he opted silence and live sound for creating the impact of the visuals and showcased his music intelligence. Metaphors are always seen in our Tamil cinema since ages and there have been many ace directors who have explained very complex emotions of the story through metaphors. But, we should say Mahendran is the best to make use of this metaphor technique in Tamil cinema. Through out the movie (Uthiripookal) there were many metaphors to explain the charaters, emotions of the characters and situations of the character, but the best of all was towards the end when Madhumalini demands for her sister’s children as her sister died from his torture. And, Vijayan tries to spoil the marriage of Madhumalini by ripping off her clothes. At the same time, fiancé of Madhumalini in the movie, rips the leaves and stem of a flower, leaves the flower untouched and waits for his fiancé Madhumalini. This metaphor explains that Vijayan rips her clothes and leaves her untouched. The comparison of the conscience of a good man and a bad man using this metaphor is still unimaginable. Every movie’s success or failure is majorly decided by the impact it makes on the audiences in the climax. Without any doubt or second thought Uthiripookal climax is the climax of the century. A bad man lives his entire life tormenting good people but at the end the good people become bad and the bad man repents for making the good people bad and he becomes a good man. But, people don’t show mercy towards him, punish him to death. Though he was the bad man in the entire movie his death becomes tragic to the audiences and we sympathise him. The success of the writer Mahendran is established when we as an audience sympathy the bad man when he regrets his mistakes. As a writer and storyteller Mahendran proves his ability in Uthiripookal climax. The grand successful opening of Big Cine Expo 2017 happened at Chennai Trade Centre. Last year same happened and the TheatreWorld once again presents its second edition of Big Cine Expo. Big Cine Expo 2017 at Chennai Trade Centre, Chennai was successfully inaugurated and presents an International Trade Show & Convention for Multiplexes, Single-Screens and Malls in India. In the presence on INOX Movies, PVRCinemas, Cinepolis, CarnivalCine, these theatre giants inaugurated the big event and it kicks started with Trade show. And Naveen KL head of Strategic ventures, Qube cinema technologies explained what should be learnt Bahubaali and what is the future for theatres in India. 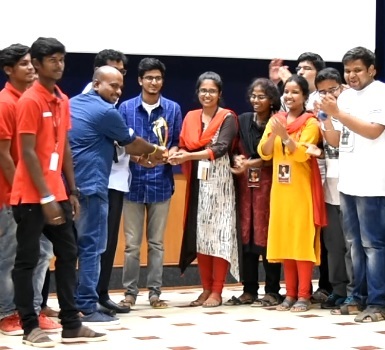 Awards were distributed in the event for various achievements and many big multiplex groups bagged the awards. SPI Cinemas, INOX movies, PVR cinemas, Dharapuram SVR visuals and many other multiplexes and cineplexes were awarded for their achievements. A discussion about Developing Retail & F&B Trends in Cinema was held with panellists. F&B and Retail are contributing immensely to the revenues of multiplexes and cinema chains. Large multiplex chains earn around 20 to 25% of their revenues from the F&B business. The estimated revenues from the F&B business in cinemas are around Rs 2000 crores in 2016. This session will focus on the new trends in the cinema Retail and F&B segment that is driving the business. 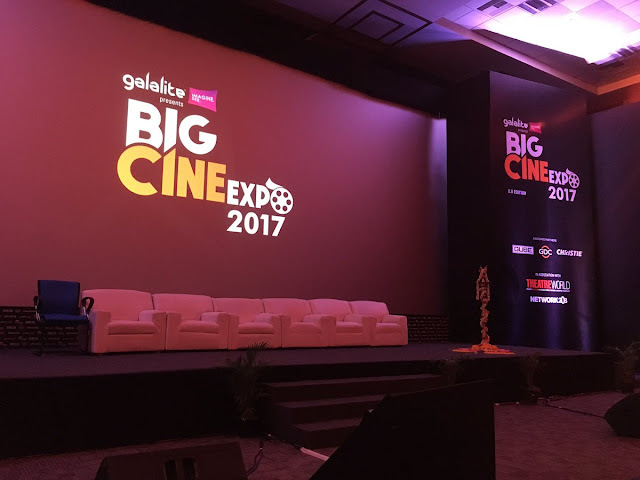 BigCineExpo 2017 was scheduled for two days and the first day has become a grand success and tomorrow much more interactive and value-added platform for Theatre Owners, Design Consultants, Equipment Manufacturers, etc… have been scheduled in the event tomorrow. With 18 years of enriching experience in the culture of cinema exhibition, TheatreWorld magazine now brings its very own expo for the exhibition community – Big Cine Expo! After the grand successful opening of Big Cine Expo in 2016, TheatreWorld presents its second edition of Big Cine Expo. With the who’s who of cinema exhibition coming together on a single interactive platform, Big Cine Expo 2016 at Chennai Trade Centre, Chennai became the first-of-its-kind event in Asia to successfully present an International Trade Show & Convention for Multiplexes, Single-Screens and Malls in India. TheatreWorld, a magazine for Theatre Owners, Cinema Equipment Manufacturers and Technology Providers, has been an innovative, one-of-its-kind publication for global Cinema and Entertainment Industry for the last 18 years. With its international reach, TheatreWorld is strongly focused on Single-Screen and Multiplexes cinema market. Keeping a close watch on latest technological developments and market trends, the magazine has been constantly updating the world community with the news and views in the ever-changing cinema exhibition business. Backed by 18 years of its experience in the culture of cinema exhibition, TheatreWorld now brings a brand new expo for the exhibition community, BigCineExpo! BigCineExpo 2017 is an interactive and value-added platform for Theatre Owners, Design Consultants, Equipment Manufacturers, System Integrators, Project Management Professionals, Industry Stakeholders and the user community of Single-Screen and Multiplex cinema entertainment in Asia and India. Asian countries are surging ahead. India is one of the world’s emerging economies with the entertainment sector occupying a dominant position. In fact, Indian cinema industry is second only to Hollywood in size. South India, having the highest number of cinema screens and highest number of movie releases, is the top market for cinema exhibition in India. The 21st century belongs to Asia, more specifically to China and India, the two fastest growing economies of the world. By 2025, China and India are expected to be the second and third largest economies respectively. There is a huge appetite for technical knowhow and equipment owing to the untapped potential in the cinema theatre market in India and the other Asian countries. There is a huge gap that needs to be filled in. And here lies an opportunity for a viable platform in India to showcase competencies, safeguard interests and share expertise with Asia and the rest of world. Chennai, one of India’s top metro cities, is the capital of Tamil Nadu state and is home to some of the greatest cinemas and movie culture. Chennai is the major destination for buyers in South India for cinema exhibition equipment. With 6,000 out of a total of estimated 9,500 screens, 70% of India’s of cinemas is in South India. South India produces 82% of the total movies in the country! Chennai Trade Centre is a fully air-conditioned trade centre, co-developed by International Trade Promotion Organisation (ITPO) of Pragati Maidan, New Delhi fame. 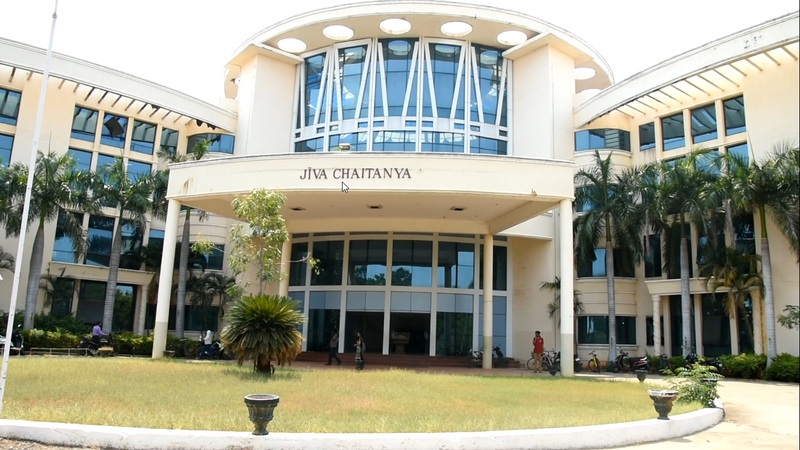 It is one of India's best state-of-the-art infrastructures to showcase products. Chennai Trade Centre is ideally located near airport, star hotels, shopping centres and the famous Marina beach. WoodsDeck is a social platform for Indian movie lovers that let people discover the latest movies and celebrities . The app will show a personalized feed that offers exclusive news, photos and videos related to movies and actors you follow. பாலா - எங்கே செல்லும் இந்த பாதை? ?